So, I don’t know about you, but we haven’t had much of a spring here in North Texas. We’ve had one big storm (which brought devastating tornadoes to towns around us – you can donate to the disaster relief through Red Cross here,) and a few days in the 70’s, but mostly we’ve gotten sunshine and highs in the upper 80’s and low 90’s. That’s the beginning of summer, if you ask me. In celebration of our early summer, this Friday’s Favorites list is full of sunbeams and bohemian loveliness. This beautiful leg chain is a natural evolution of this year’s body chain trend! 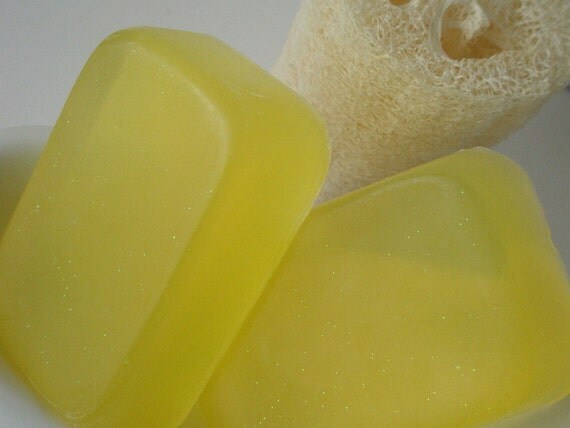 This sparkling honeysuckle scented soap by our friend Cassie at Clover Hollow is subtly glittery, and made from the finest ingredients. 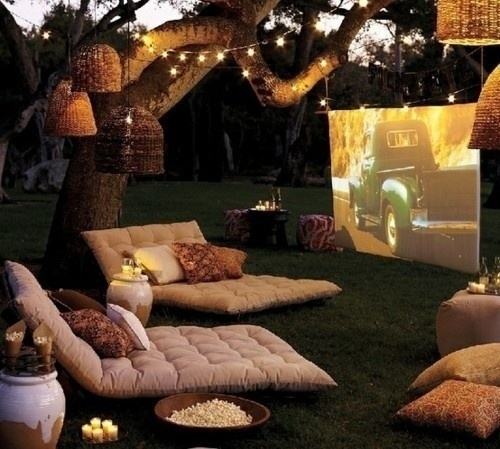 Turn the back yard into a movie theater with lots of pillows, cushions, and fairy lights. 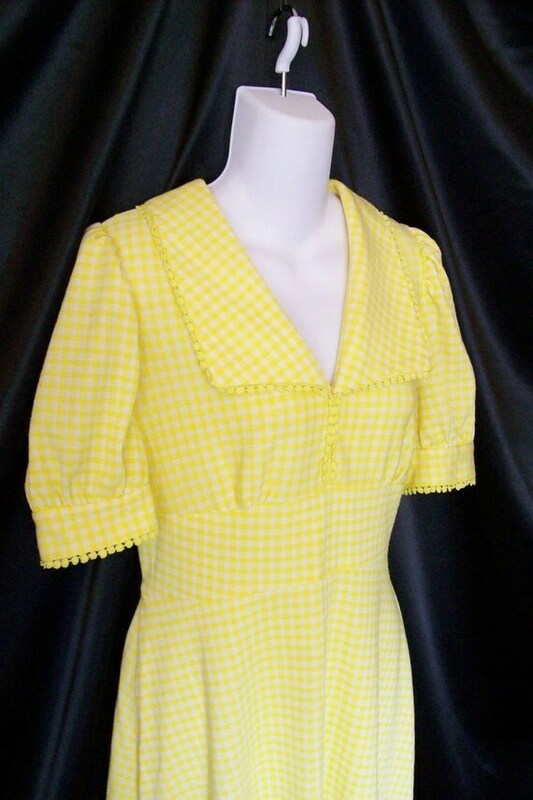 Tiny yellow gingham print, puff sleeves, dainty trim, and collar make our vintage empire maxi dress a spring and summer dream! 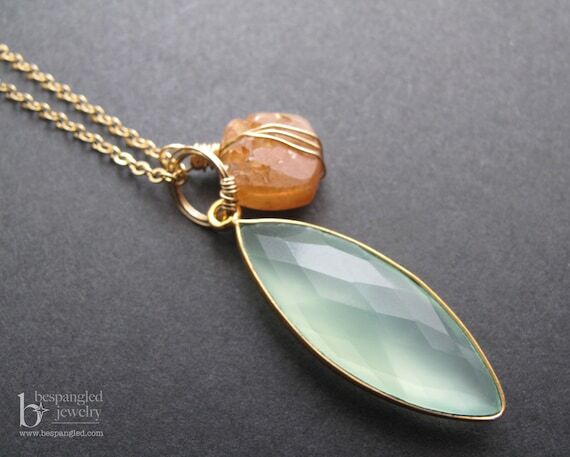 This golden sunstone and chalcedony necklace by Bespangled Jewelry lets you bring the beach with you wherever you go this summer. It’s been a while since I’ve posted any treasuries, so I thought I’d share a couple from the end of last year that I thought you might like. The first one is clever, titled “Escape From The City,” featuring city and travel themed listings, including our JuJu Eyeball sparkly roach earrings. The next treasury follows one of my favorite themes – local! It’s also a Valentine theme, I suppose, in red and white. This is the first time any of my new harnesses have been featured – exciting! So, if one of your new year’s resolutions involves buying locally, or supporting handmade/artisans/small business (and good for you for making that resolution,) this is a great place to start. Etsy can be a little overwhelming, even if you do a specific search, and treasuries can be a quick, aesthetically pleasing way to shop. The weather has been consistently sunny for the past few days here in DFW, so I think, after a quick trip to the pharmacy, I’ll break out the new camera the hubby gave me for Christmas and take some photos for the shop. Hope your new year has been wonderful so far!